Bridges need to satisfy all sorts of design criteria. Engineers are used to designing for safety, stren gth, stability, durability and a whole lot of other considerations, but many fail to include elegance and long-lasting aesthetic appeal. When all the arguments about cost, programme, constructability and so on have died down, the bridge will remain there for all to see, and it will either be enjoyed or not for generations to come. This talk will address this issue and ask whether we have the right education and training in place to enable engineers to tackle the elegance question effectively, and whether the industry has the appropriate procurement processes in place to deliver elegant bridges in a world increasingly tolerant of mediocrity. Ian is a well-regarded bridge designer responsible for the engineering design of a number of bridges worldwide, several of which have received high profile awards. Ian joined Flint & Neill in 1979, became Partner in 1990 and now works as a Consultant following the rebrand to COWI. His modest but technically challenging pedestrian bridges include Inner Harbour Bridge, Copenhagen; and Bridge of Aspiration, London. Large span bridge projects include Tsing Ma, Kap Shui Mun, Ting Kau and Stonecutters' bridges in Hong Kong; assessment and strengthening of the West Gate Bridge in Melbourne; and many major steel box girder structures in the UK. 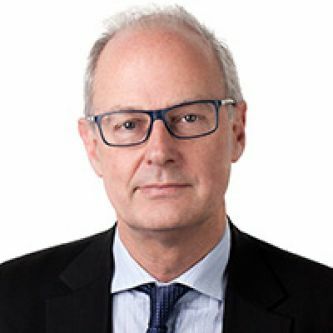 Ian is Chair of IABSE British Group, sits on the Board of Directors for Bridges to Prosperity and is Chair of its UK Charitable Trust, Ian was the 2017 Institution of Structural Engineers' President. The lecture will be accompanied by an exhibition of design excellence examples from academics and students in the School of Mathematics, Computer Science and Engineering.